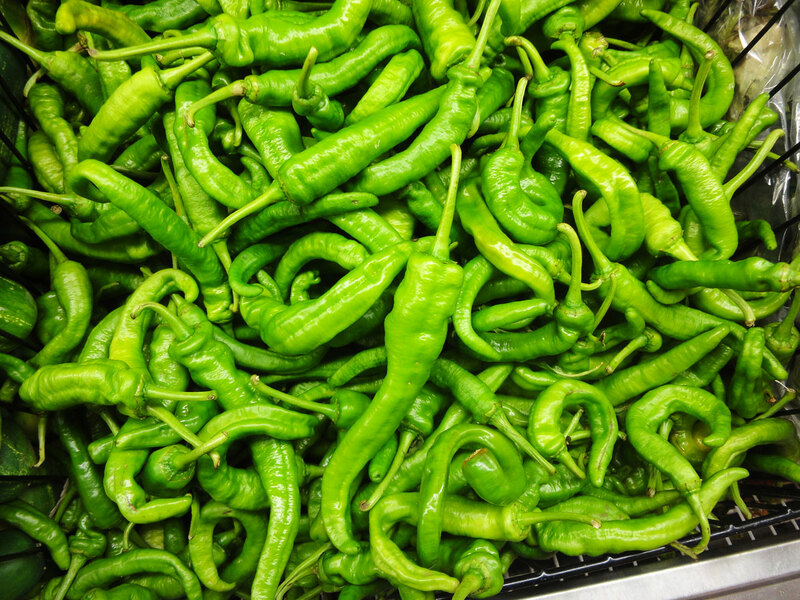 There are many kinds of green chili peppers in Korea (and the world), some spicy and some not, and the Korean word cheong-gochu includes all of them. It’s a huge category, and we sometimes even categorize them by season! 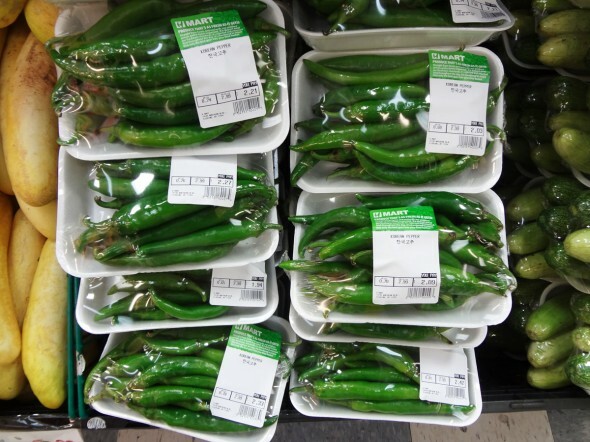 For example asagi (아삭이) peppers come at the end of summer and are perfect for making green chili pepper pickles and green chili pepper kimchi. These green chili peppers will eventually mature into red chili peppers (hong-gochu) if left to grow, and Koreans don’t usually remove the seeds before using them. Buy Korean green chili peppers in Korean grocery stores, or substitute any local green peppers like serranos or jalapeños in my recipes. Posted on Tuesday, February 26th, 2008 at 11:20 pm. Last updated on September 27, 2016. Posted March 11th, 2012 at 2:30 pm | Log in to reply. How should I store these? In the refridgerator? Or on the counter? Posted December 19th, 2011 at 11:32 pm | Log in to reply. So my grandparents plant green peppers in their garden but I dont know what kind they are.. Are the green chili peppers the kind that you can dip in 된장 and eat by themselves or are they like a spicier kind that you use primarily to flavor courses? Posted June 11th, 2010 at 8:45 pm | Log in to reply. 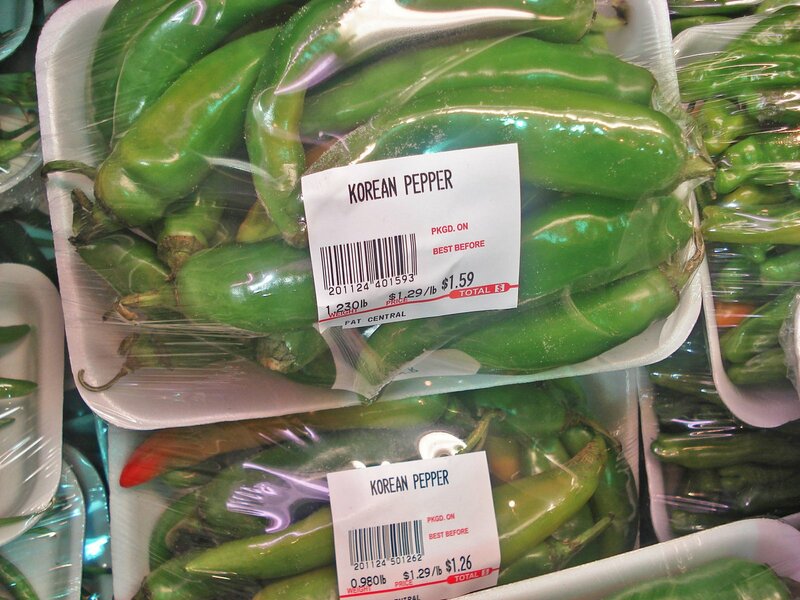 What is a good replacement pepper if I can’t get the korean pepper? Is serrano okay? Posted July 3rd, 2010 at 8:02 pm | Log in to reply. I wouldn’t recommend using a serrano, it is significantly hotter. The closest flavor I think would be a jalapeño. The jalapeño’s are usually a little hotter than the “green chili” or “Korean pepper” you could remove some of the seeds and/or white “veins” inside to adjust the heat. If you want to skip the heat an Italian sweet pepper (larger and light green/yellow in appearance) has a similar texture and fresh pepper taste. Posted August 10th, 2010 at 3:53 am | Log in to reply. If you have a space for a 3 to 5 gallon bucket, you can grow your own peppers. Shishito and Fushimi peppers are sweet Japanese peppers. Koreans use a different type- guajillo, aji, etc. I grew some this year & they look more like what I encountered in S.Korea. I can send seeds if you are willing to send me a SASBE (self addressed stamped bubble envelope). If you have a backyard, get some food grade 3 or 5 gallon buckets, GARDEN soil (not the same as POTTING soil).. And start your seeds inside 8 to 10 weeks before your last frost date. 1 plant per bucket, feed every week or 2 with miracle grow or your organic alternative (blood/bone meal, fish emulsion, etc). Spicy peppers have root exudates that prevent root rot and other Fusarium diseases. Plant anywhere you have these problems (if you choose to plant them in ground). While you should always plant chili peppers close together, providing shelter from the sun with other plants will help keep them from drying out and provide more humidity. Tomato plants, green peppers, and okra are good protection for them. Teas made from hot peppers can be useful as insect sprays. Hot peppers like to be grouped with cucumbers, eggplant, escarole, tomato, okra, Swiss chard and squash. Herbs to plant near them include: basils, oregano, parsley and rosemary. Never put them next to any beans, broccoli, cabbage, cauliflower, Brussels sprouts or fennel. They also work well with parsnips, but not carrots. Posted August 10th, 2010 at 10:39 am | Log in to reply. 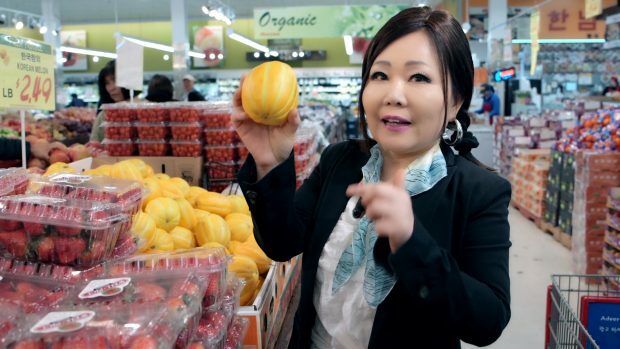 wow, you are very passionate about growing vegetables! Of course the info and tips are very helpful! Thank you very much! Can you create a new discussion topic under “general discussion” on the forum? Posted December 26th, 2009 at 2:56 am | Log in to reply. where can i get this in singapore? Posted May 17th, 2011 at 3:14 am | Log in to reply. 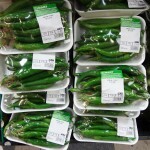 Hi,it is just normal green chillis which is readily available in the supermarkets and wet markets in Singapore.